Ooty is beautiful hill station in the South Indian state of Tamil Madu. Ooty RTO assists in the smooth flow of transport in the city. 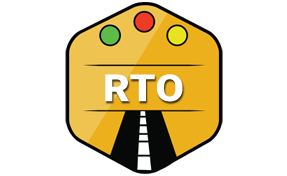 Provisions of Ooty RTO is possible through the motor vehicle act of 1988. Transport commissioner act as a guiding force for all the operations of Ooty RTO. Under his supervision, all the operations are managed swiftly. Authorised to grant permission to commercial fleets or cargo. It helps in preventing any illegal activities. Permission is granted after thorough verification. Online Ooty RTO information management and scheduling of all the appointments. It saves a lot of time of the users. Timely verifications of mandatory documents in the vehicles. In absence of the compulsory papers, defaulters are punished by charging fine. Penalising traffic rule breakers. It assists in creating discipline in the traffic and prevent any tragedy because of rash driving. Legal action against the lawbreakers. Road tax collection for all kinds of vehicles. Tax is levied as per the latest slab only. Vehicle database management for Ooty motors. It makes the RTO system more organized. Issuing International permits for driving as and when required. Enactment of motor vehicle act of 1988. Making policies for transport and traffic management. Managing the entire vehicle registration process, issuing registration copy (RC) to all the new vehicles. Also assists in facilitating timely changes in RC. These changes may be required at the time of any amendments in contact details or vehicle transfer. Organising training sessions for road safety management. Essential permits to all the tourist and foreign vehicles. Timely road permits and renewals. Regional Transport Office (RTO), Coonoor Road, Ooty, Tamil Nadu - 643001.